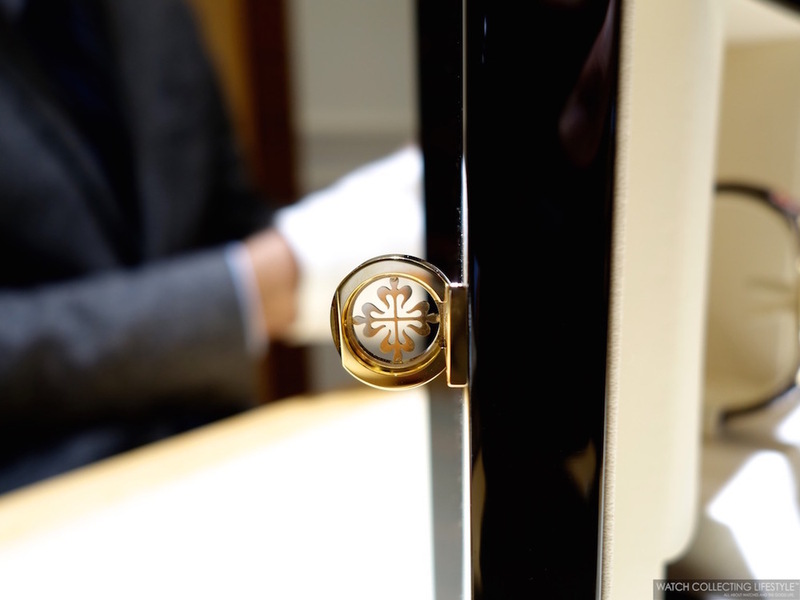 Experience: Patek Philippe ref. 5975 Multi-scale Chronograph. Taking Delivery of one of Patek's 175th Anniversary Limited Edition Pieces. 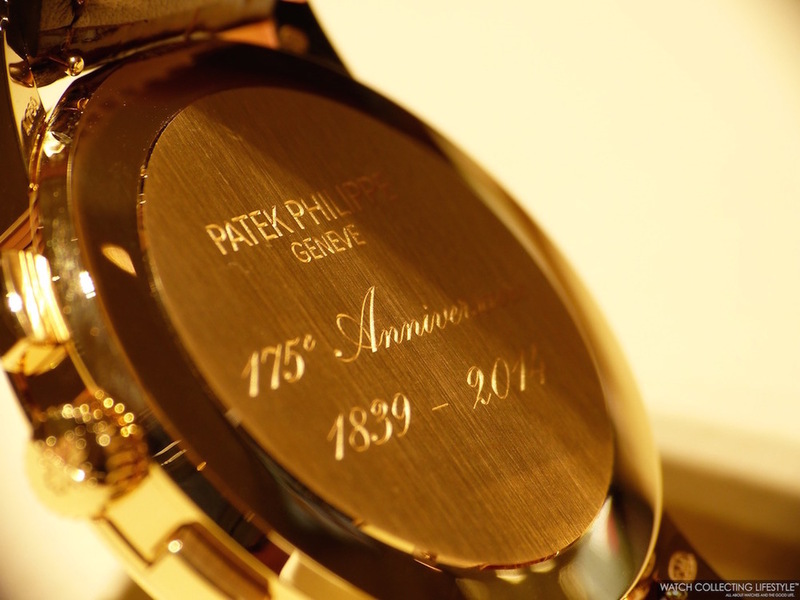 Two months ago on October 14th, 2014, Patek Philippe presented 25 timepieces to celebrate its 175th anniversary as reported here. One of these 25 commemorative timepieces is the Patek Philippe ref. 5975, a limited edition Multi-Scale Chronograph available in three precious metal variations and with a dial fitted with a tachymeter, telemeter and a pulsometer. With these chronographs, Patek Philippe has returned to the source of the chronograph by creating a multiple-scale instrument whose face combines technical panache with finesse. 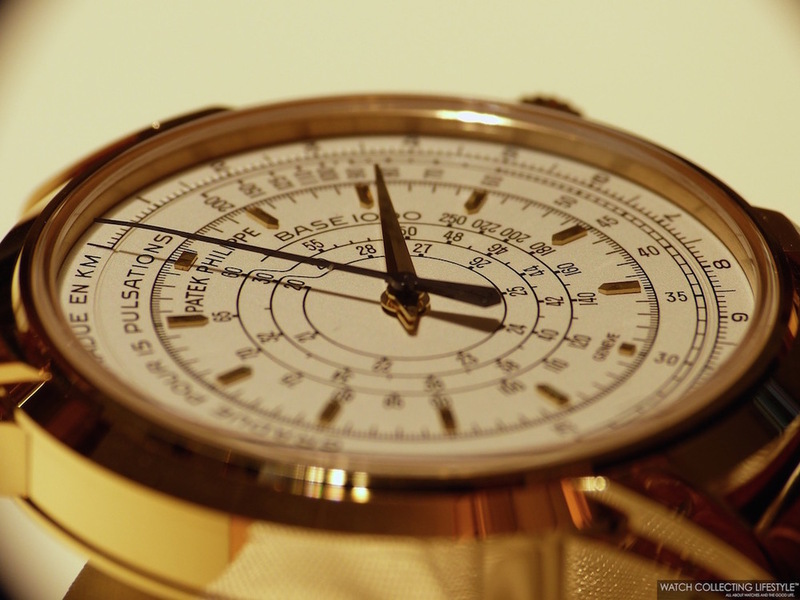 Patek Philippe has always accorded a prominent role to the chronograph. Between 2005 and 2012, reaffirmed its know-how and supremacy by developing a range of eight chronograph movements built entirely in its own workshops. They extend from the classic manually wound chronograph with column wheel and horizontal clutch to the self-winding chronograph with vertical disc clutch and to the highly complex split-seconds chronograph, with or without perpetual calendar. 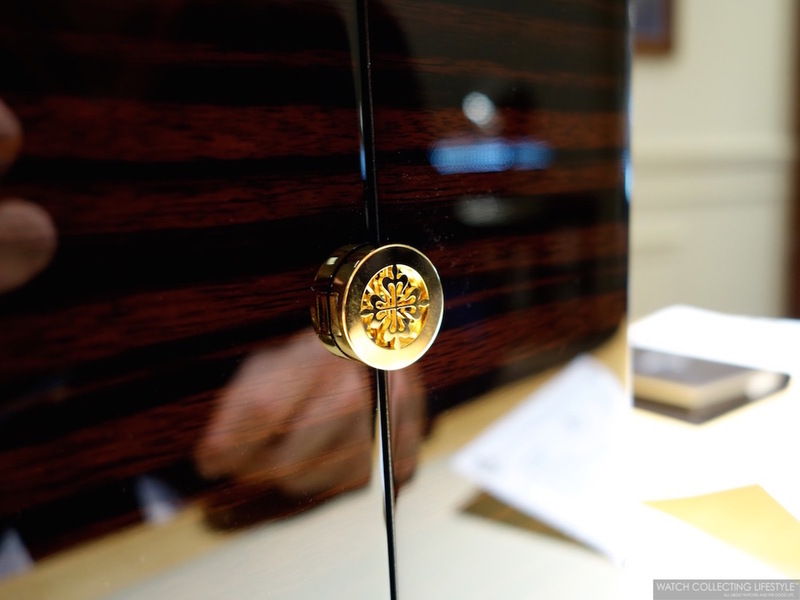 The case, too, reinvents tradition with creative flair. 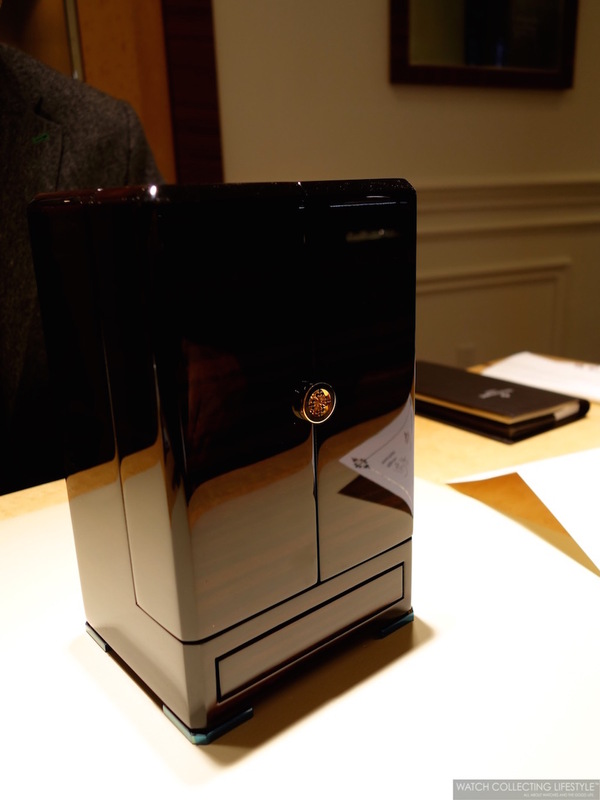 It looks classic but possesses subtle original details, such as the double lugs at case side and bezel. Of this highly coveted commemorative reference there are three limited editions of 400 watches each in 18k yellow, white, or rose gold —each with a silvery opaline dial and black transfer numerals— and one limited series of 100 pieces in platinum fitted with a black dial. Today, we bring you these special photo essay to recap the delivery of one of the first Patek Philippe ref. 5975s to make it to the wrist of a watch collector in the U.S. As you all know, Patek Philippe has a very strict control as to who gets to buy limited edition pieces like this one. Luckily for us, a very good friend of ours was quite fortunate to get his hands on this particular watch. 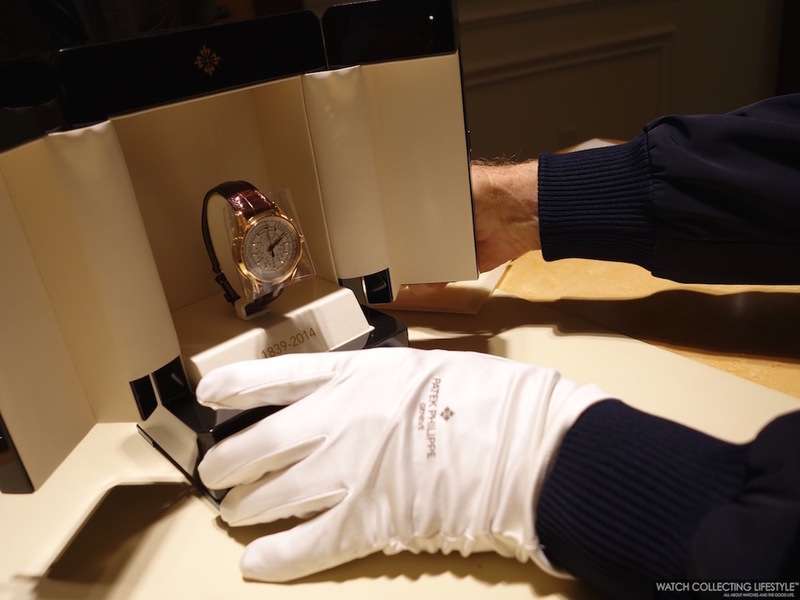 We feel honored to have been invited by him to be part of this ultra special moment in his watch collecting life as he took possession of this amazing timepiece at his favorite Patek Philippe authorized dealer, Kirk Jewelers —one of Patek Philippe's authorized dealers with the longest standing relationship after Tiffany & Co.
Ladies and gentleman, may we present you this unboxing of the Patek Philippe ref. 5975 Multi-scale chronograph limited edition celebrating Patek's 175th anniversary. As the top part of the special box came off and we were able to see the 175th anniversary logo, our hearts started beating faster. Once the wooden box made its appearance, we knew we were in for an amazing surprise. Our good watchlifestyler friend—who will remain anonymous— couldn't believe it was happening. Thank you for letting us be part of this very special moment. As it is the norm when it comes to celebratory timepieces from Patek Philippe, the ref. 5975 is accompanied by its commemorative coin —minted by Patek Philippe for the occasion—, the usual certificate and this time, also included there is a very special 'Attestation' certificate that outlines the number of pieces made of this reference to celebrate the 175th anniversary. Finally, the star of this special post made its appearance. Nested inside the special box that opens up like one of the most elegant antique Louis XVI 'armoires', we both joked about how the box looked like a 'little closet' and how nice it would look sitting inside his safe. As our friend checked the contents and played around with his new toy, his face showed the most unique and authentic smile we have ever seen on him. A smile only similar to that on the face of a little boy opening his Christmas presents after a long wait for Santa Claus. Finally, after a long conversation about the beauty of his new Patek Philippe ref. 5975, we convinced him of trying on his new watch for the first time. As he contemplated the buckle with the utmost care and laid the watch flat on its dial, he said: "Just look at this buckle, it is so special. Look at the engraving on it, and the engraving on the case back. What a beauty my friend". 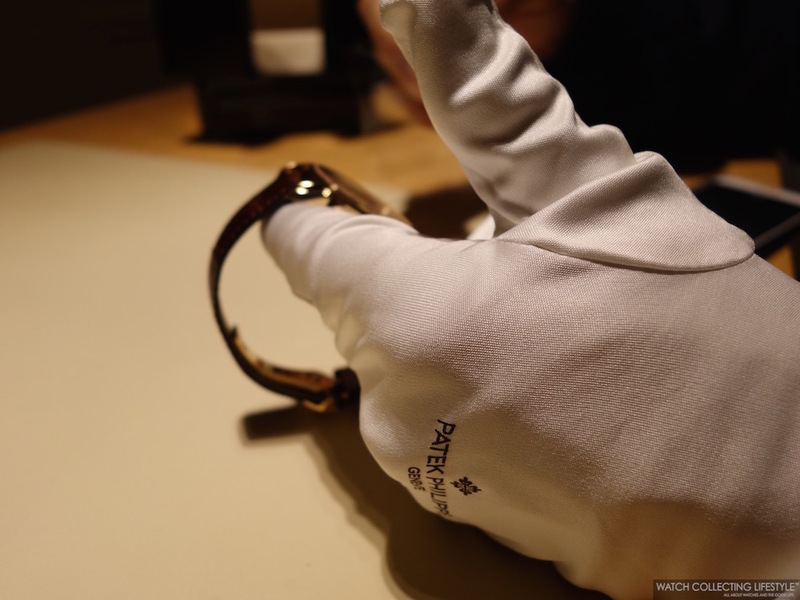 Finally, after taking another look at the dial —while we were enjoying every minute of this experience savoring a nice espresso—, he carefully opened the buckle, put the watch face down just to proceed to remove his Patek Philippe ref. 5960/1A-001 —first one to make it to a collector in the U.S.—, and then strapped the new watch to his wrist. This savvy collector, who collects watches for the right reason —being that, for the love of horology and not just because he can afford them or to show off as others do— is an educated gentleman with a very refined taste for some of the most amazing Pateks as well as very special watches from brands like Audemars Piguet, Vacheron Constantin, Rolex, Girard-Perregaux, F.P. Journe, Panerai, Hublot and of course A. Lange & Söhne just to name a few. 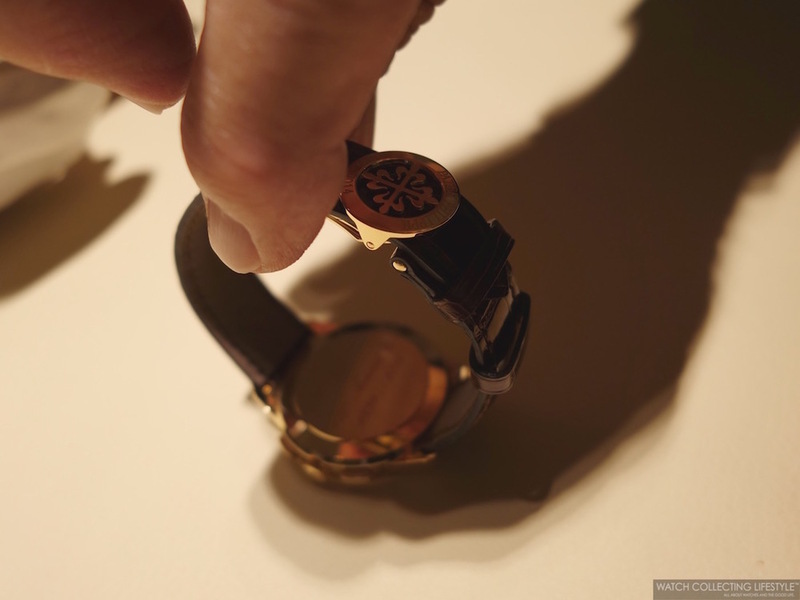 As it is customary among watchlifestylers, we both took a wrist shot of the watch. As he stared at the Calatrava cross on the buckle one more time, he sighed and said: "This watch will sit inside the safe with all its goodies and might come out only once or twice a year. This is a very special watch and I couldn't be happier. Just look at the dial and the double lugs, those are the details that make Patek Philippe who they are. I am one of the few that will have a 175th anniversary in the collection, isn't that amazing". Now don't forget that this is not only a very elegant chronograph with amazing wrist presence, but also what is considered a collector's dream piece. As we both looked at his wrist sporting his new Patek Philippe ref. 5975, I said: "Just think about the day we are both at the Patek Philippe 200th anniversary auction at Christie's in Geneva, wondering how much your watch will fetch and remembering this special day. Wouldn't that be just amazing?". He kindly replied: 'I can see ourselves in that room, remembering this amazing day". 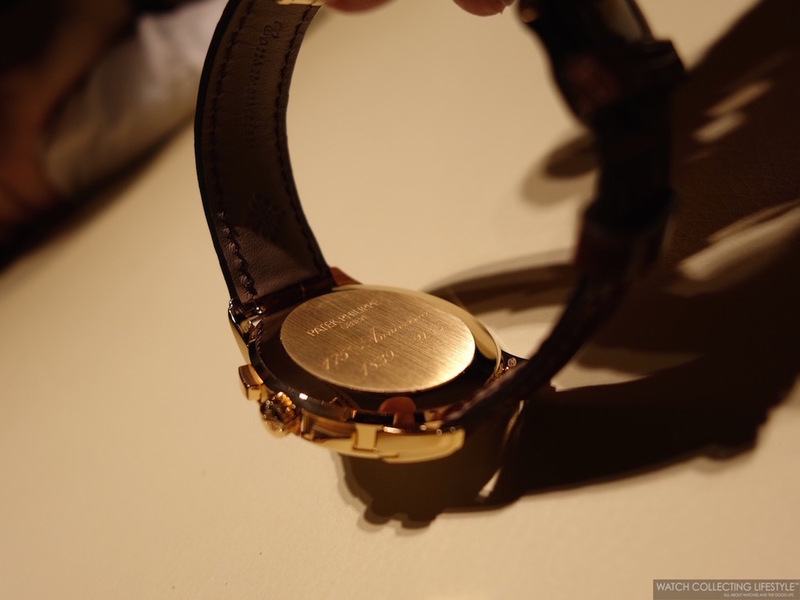 Then after contemplating the watch on his wrist, he said: "Did you notice something very special about this strap? It has a much thicker stitching when compared to other Patek Philippe straps and look at the orientation of the alligator square scales." 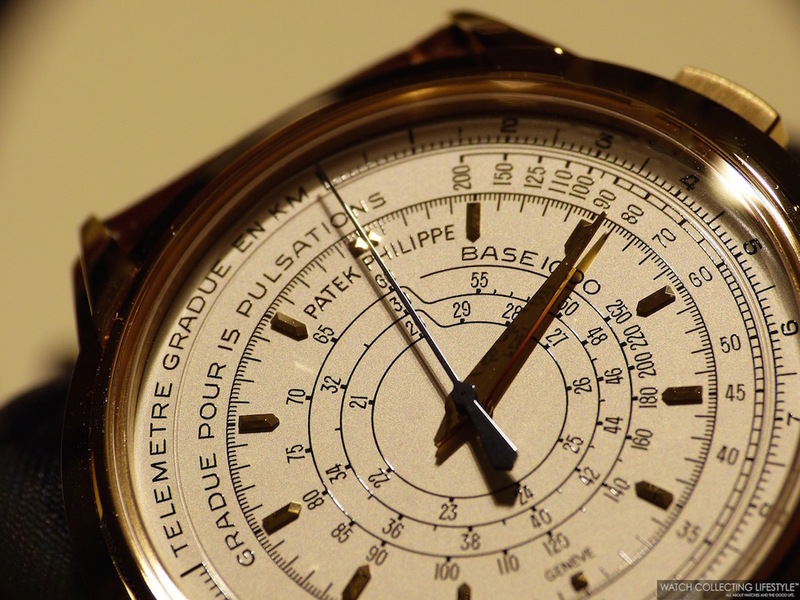 Only when you've owned several Pateks you can notice such details. The same details and superb craftsmanship that has positioned Patek Philippe within the 'Holy Trinity of Watchmaking'. Now that we've shared this amazing moment in the life of a watchlifestyler and the unboxing of one of the most special timepieces in the world, we invite you to enjoy these macros that we were able to capture just for you, our beloved readers. Sticker Price CHF 55,000. For more info on Patek Philippe click here and for Kirk Jewelers here. Posted on December 15, 2014 by Editor & Publisher and filed under Patek Philippe and tagged Patek Philippe ref. 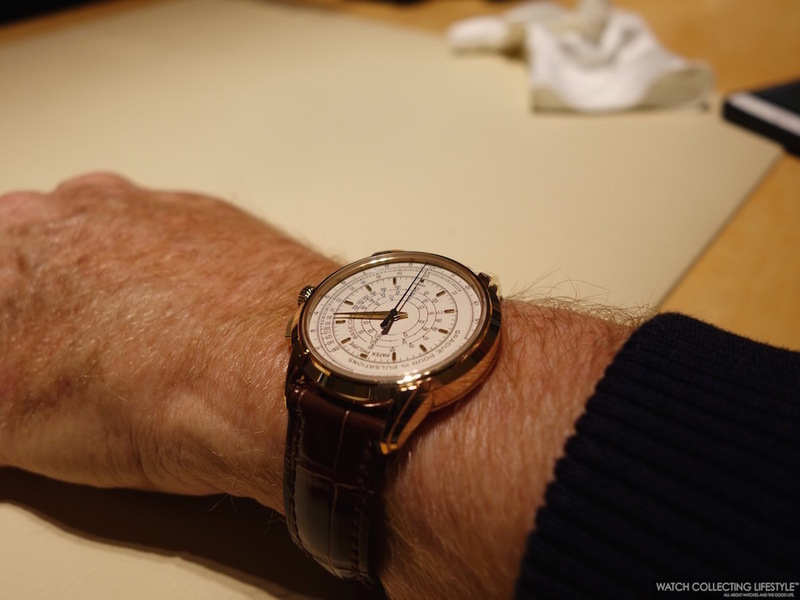 5975 Patek Philippe Multi-Scale Chronograph ref. 5975 Kirk Jewelers Patek Philippe 175th Anniversary Top Brands.